Troubling times, indeed, if we are noting the ecstasy of Wall Street traders at the departure of a White House official. What troubles the financiers and banksters would surely delight Main Street. But this was not any ordinary cheer, nor ordinary celebration. It was August 7, 2017, and the White House had bled another casualty. Steve Bannon, the key strategist behind Trumpism, was on his way out, to be assuming duties at the shock news agency that had made his name. Hence the cheering from those diligent worshippers of Mammon. On Friday, President Donald Trump’s Deputy Assistant Sebastian Gorka followed, claiming a resignation that was then considered by an unnamed White House official to be a non-resignation. As with everything coming out of the Trump administration, such an account was disputed: who, it seemed, was faking it on this occasion? One thing that Gorka is probably not faking is where he will be heading: returning with resplendent ideological glory to the old Breitbart News that some argue started the Trump revolution. There, he hopes to reunite with Bannon. The turn of events this August has been telling for the ideologues, who at least could claim some measure of control over the opening phases of the administration. For Gorka, concern centred on the Afghanistan strategy, which suggested more of the same, lacking strategic focus let alone definable goals. Rather than extricating himself from the mire, the president seemed to be backing a longer, more continuous engagement. What, then, will Gorka be doing from without? Presumably what he did when Major General Matthew C. Horner Chair at Marine Corps University, in addition to wearing the Breitbart News cap: refocus the attack on the global bogeyman. This threat is less a man than a phenomenon, an ideology in religious, theocratic visage: Islamic fundamentalism. “The fact that those who drafted and approved the speech [on Afghanistan] removed any mention of Radical Islam or radical Islamic terrorism proves that a crucial element of your presidential campaign has been lost”. It was Gorka who managed to find a berth in the Trump administration to express his own binary view of the world, one simple and ultimately simplistic. From satanic communism, the threat moved to Islam. 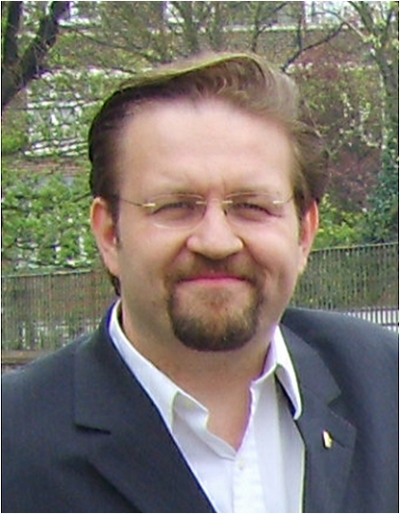 There was never any perceived need on Gorka’s part to update and re-adjust his cultural apparatus (he shows little interest in understanding ground conditions, social structures, language), the ideologue in need or re-skilling for the modern battle. Such world views are immaculately transferable tickets, commies and towel heads seen as part of the same anti-civilisational viciousness. To combat them, Gorka would project a mirrored fundamentalism of his own, one fashioned from the toolkit of revanchist nationalism. There is no greater principle of creation than chaos, but the Trump administration has shown that too much chaos results in inertia, or at the very least, a form of habituated, neutralising destructiveness between the combatants. Ever since Sean Spicer fled the halls of mayhem, he has been duly succeeded by the hired and the fired. With all this bloodletting, it has been easy to forget the relevance of the Democrats to the broader debates, or that of any self-proclaimed progressive forces. With the departure of each ideologue, cheers are registered. Farhana Khera, executive director of Muslim Advocates, relished a parting shot. The GOP functionaries, for whom Trump never had much time for, have been banished. The ideologues have been whisked out, many (like Bannon) feeling that influence has a lesser measure of effect than power. Even the practical “can do” men like the departed Mooch (Anthony Scaramucci), who pride themselves in avoiding the ideologues when they aren’t squashing them, live on borrowed time. No one, it seems, is safe in this self-cannibalising environment.